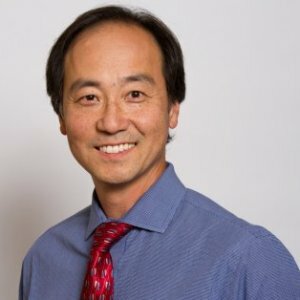 Dr. Paul Oh is Medical Director of the Cardiovascular Prevention and Rehabilitation Program and a Scientist at the Toronto Rehabilitation Institute. A leading expert on the role of exercise in rehabilitation, he has studied exercise interventions in a variety of patient populations. Current research focuses on how exercise affects cardiovascular health and on ways of optimizing exercise interventions. Dr. Oh has received numerous awards for teaching and research and is the author of many peer-reviewed papers. Dr. Oh is an advocate of the power of exercise as medicine. He sees the benefits of it every day through his work at Toronto Rehab’s Cardiac Rumsey Centre. “Simply put, exercise is as powerful a therapy as anything we can offer,” he says. The statistics are strong: participation in cardiac rehabilitation programs, which emphasize exercise, can lower chances of dying from a future cardiac event by about 50 per cent. Core components of Toronto Rehab’s year-long outpatient cardiac rehabilitation program, which is the largest of its kind in North America, include aerobic exercise, resistance training, and education. “People with heart disease can become fitter and function better than they have in years,” says Dr. Oh. Dr. Oh is also working to extend the successful model of cardiac rehabilitation to other at-risk populations. One major focus has been people with diabetes. Adults with diabetes are at a high risk of cardiovascular disease. Breaking out of a sedentary lifestyle is critical to good health. “This can be an even more challenging feat for those of us in our middle years (anywhere from age 40 to 60), who can be pretty set in our ways,” says Dr. Paul Oh, medical director and GoodLife chair of the Cardiovascular Prevention and Rehabilitation Program at the University Health Network. Dr. Oh adds that the importance of getting active in your middle years cannot be understated, for both preventive and rehabilitative purposes. CACPR Annual Meeting and Symposium Vancouver, BC.